She was a dream to helm. The control from the low-profile rudder felt spot-on and power was communicated well. The Xp 44 deck hatches, portlights and windows are carefully selected for a flush fitting. Pedestal options: The Xp 44 offers a choice of four pedestal options to customise the twin composite wheels. The Xp 44 deck hatches, portlights and windows are carefully selected for a flush fitting. Advanced design hinge mechanisms on the opening coachroof windows ensure there are no fittings or bolts visible from the outside, yet allowing ventilation and increased light down below. The Xp models were conceived as true dual-purpose yachts. The guiding principle is that the Xp 44 should be highly competitive when sailed with a full crew and also easily handled by a couple or family. It should be optimised for racing under major handicap rating systems, but equally suited to a relaxed weekend cruise or a longer blue-water passage. The Xp 44 comes with two rig choices, a standard alloy mast or an optional carbon mast and boom. 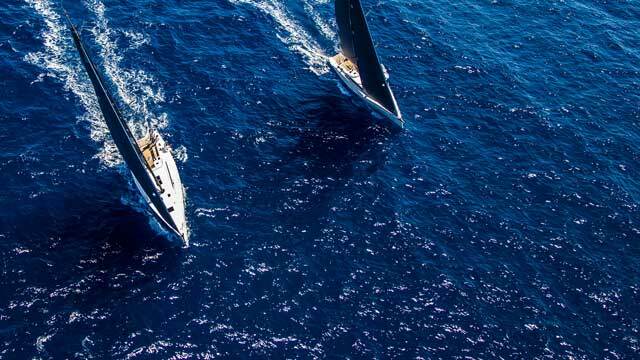 Both are designed in close co-operation with leading rig development companies and sailmakers, for strength, low-windage and exceptional control. Als het Deense X-Yachts met een nieuwe reeks uitkomt wordt daar reikhalzend naar uitgekeken. Varen nam de uitnodiging voor een testvaart in de Engelse thuisbasis van X-Yachts wat graag aan. Voor verdere evaluatie werd het schip gevolgd tijdens de IRC Nationals, die half juli in Cowes werden gevaren.